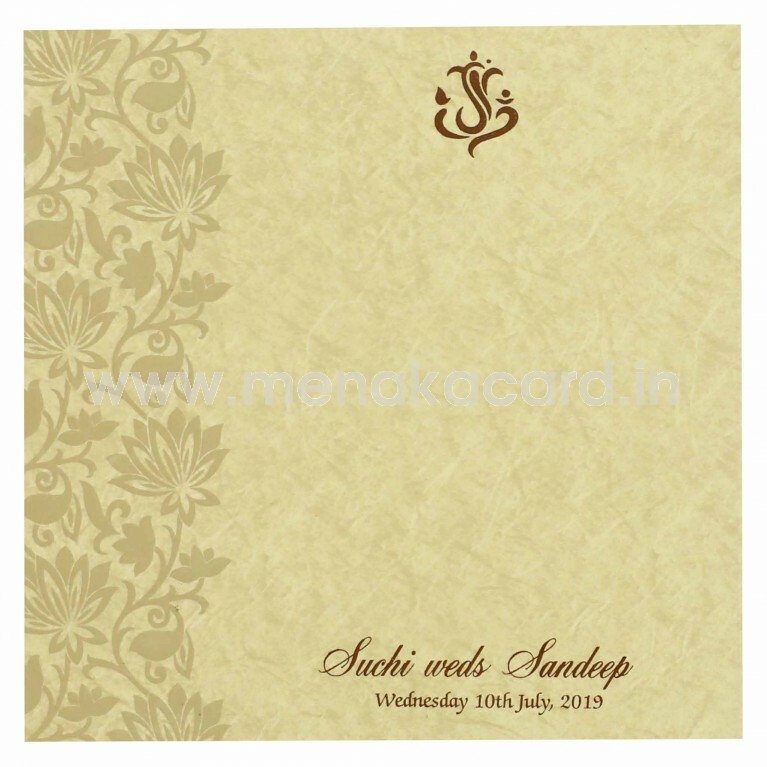 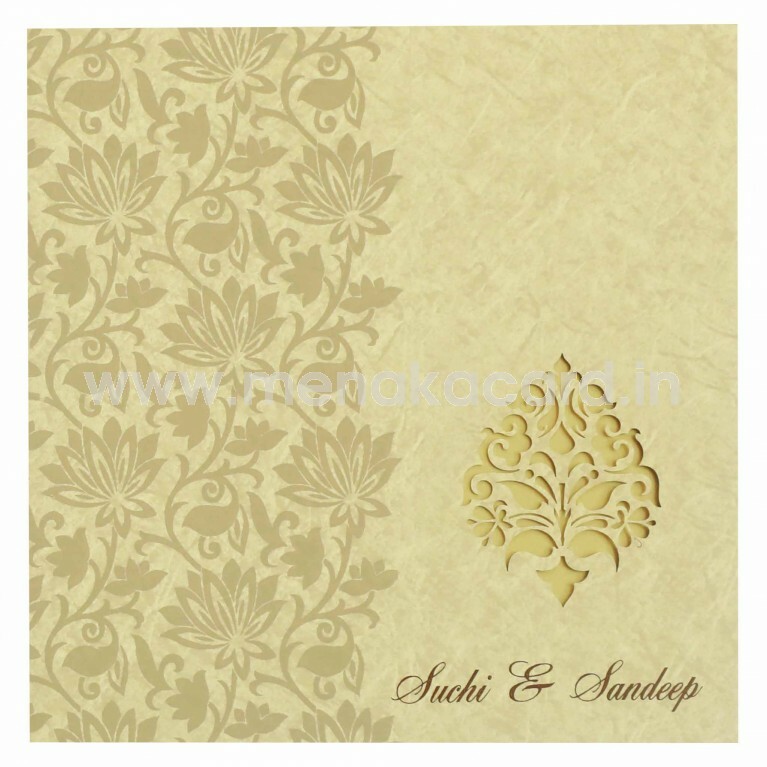 This gorgeous cream card is made from a texture printed artboard and has a book fold. 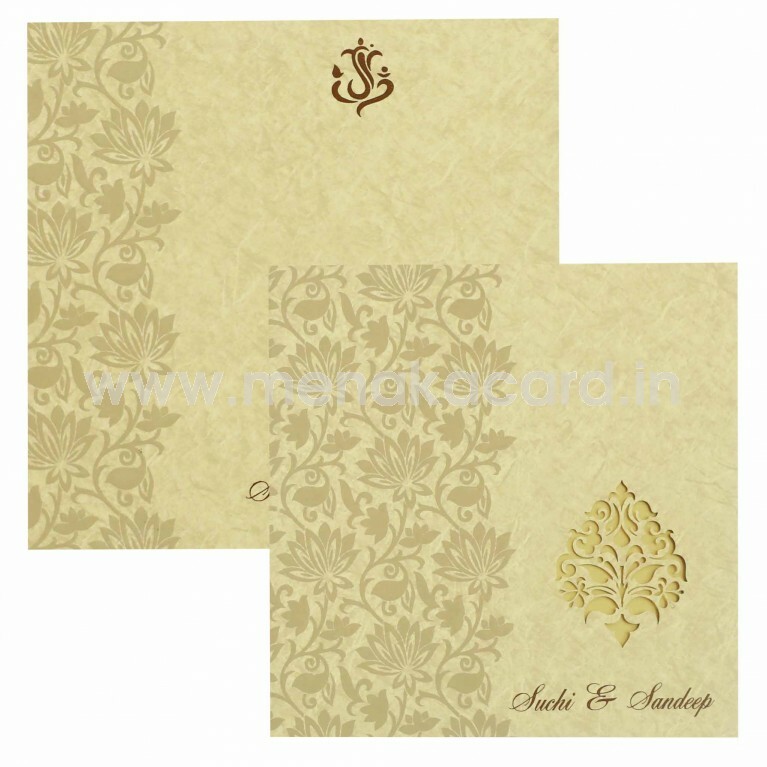 The main flap of the card has a beautiful lotus motif filigree design embossed into the left half of the card with a graceful lotus like die-cut damask motif on the lower right that reveals the gold shimmer board of the door flap beneath, holding the inserts in place. The cardholder has two default inserts with a variety of colour options. 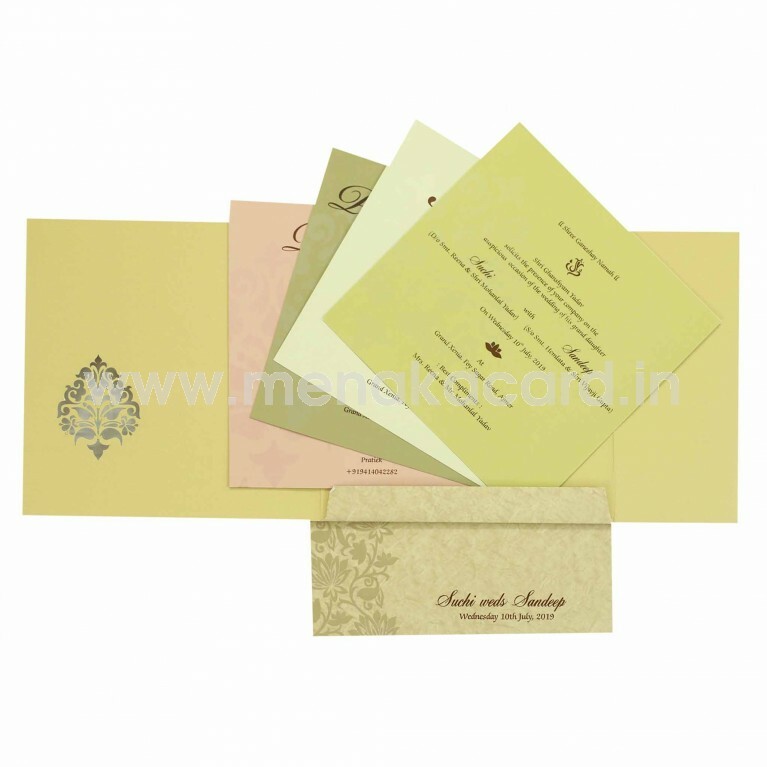 This can be used for Hindu weddings, receptions and engagements.